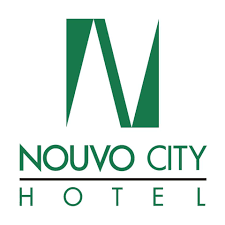 NOUVO CITY HOTEL is a 279 room, 4-star boutique hotel in Bangkok. After transforming their online presence with a new website and booking engine, the team at Nouvo City were searching for a direct booking platform that could help them to manage their parity, engage potential guests and deliver a phenomenal online experience. Triptease has proven to be the perfect fit. Nouvo City partnered with Triptease in November 2018. We spoke to Adam Phadungsilp, Nouvo’s Resident Manager and Director of Sales and Marketing, about the hotel’s experience of working with Triptease. Nouvo City was struggling with increasing OTA commissions and rising levels of undercut rates before partnering with Triptease. In some instances, the hotel was being charged 25% in commission by their distributors despite agreeing to 15%. Nouvo City had worked hard to maintain a healthy relationship with OTAs, but the team realized they had to protect their right to sell rooms at the rates they wanted. “We were losing the opportunity to earn our full revenue. We noticed rogue rates were coming in so we contacted OTAs and told them we noticed undercutting activity. Other OTAs had noticed the rates and wanted us to lower our prices: it’s a non-stop cycle,” Adam told us. “Our integration took no time at all - we just had to add a couple of lines of code to our site and everything was taken care of. It was much easier than we anticipated,” Adam shares. The Nouvo e-business team uses the platform every day to check disparities. They use Triptease's automated chat agent to answer guests in real time. Thanks to Triptease's disparity solution, the team at Nouvo is now working to take back control of their rates with the evidence Triptease provides for negotiations with OTAs. The hotel's direct website maintains a healthy searcher conversion rate of 6.43%. This is higher than other hotels in their competitive set: hotels with a similar ADR have an average searcher conversion rate of 5.26%. Nouvo's searcher conversion rate also is over twice the average for hotels in Thailand - 2.61%. Triptease's onsite conversion messaging has generated approximately ฿200,000 in incremental revenue for the hotel in just two months. With Triptease's automated live chat, the team at Nouvo finally have the opportunity to establish a direct relationship with their guests online. Working alongside Triptease's AI-driven automated agent, the team at Nouvo can answer 100% of questions that come in via their live chat, providing potential guests with a real taste of the hospitality they can expect at the hotel. Furthermore, almost 10% of conversations result in a booking in the same website session. The crucial performance data gathered and displayed within the Triptease platform has become invaluable to Nouvo City Hotel's operations and strategy.